Why Buy Doll Clothes Pattern Books? Personally, when looking for a new doll clothes pattern I prefer to buy a whole book of patterns at one time. That way I can refer back to it over and over again. I’ll try not to cut out the patterns from the original book. Instead I’ll photocopy the pattern pieces then keep them in a baggie for future re-use (I’m thrifty that way). Whether you’re sewing clothes for your American Girl, Our Generation, My Life As, Favorite Friends, Springfield or others, finding a sewing pattern book that has cute patterns AND easy sewing instructions can be tricky! But fear not! 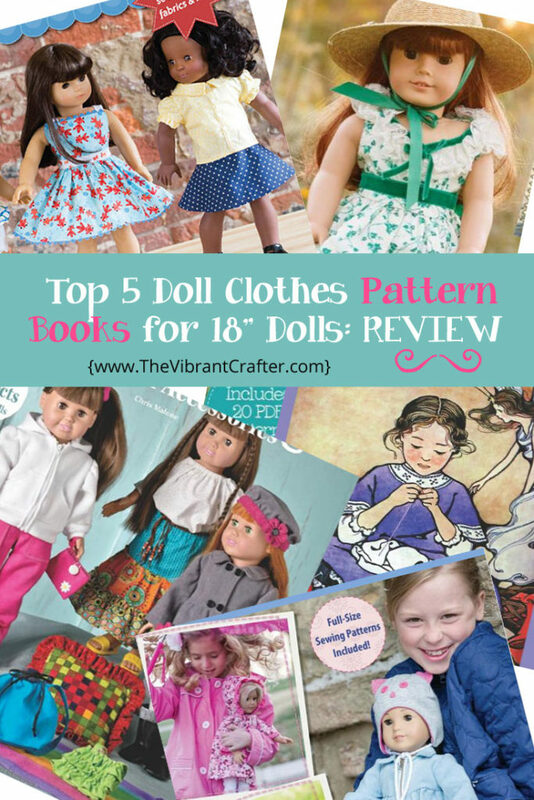 I’ve picked out my top 5 doll clothes sewing pattern books and reviewed them here to save you time and bring you what I think is the best value for your hard-earned moolah. Enjoy! From kitty cat to princess, ballerina to mermaid, these adorable doll costumes for the 18-inch doll will ignite your child’s imagination (and yours!). 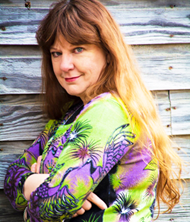 Beloved sewing goddess Joan Hinds delivers a collection of twenty really fun and creative costumes that will inspire and delight doll lovers everywhere (including me). 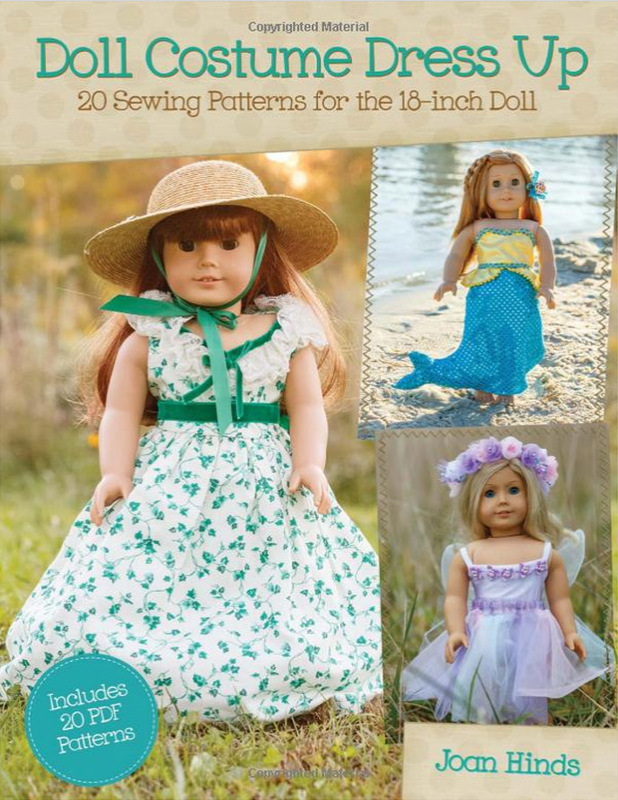 She includes 20 downloadable .pdf doll clothes patterns. I should say right up front that this is a Kindle book that you can also download as an E-book. Handy for sneaky reading and drooling over while waiting in the car line for your kid(s). What I love about it is that it does exactly what it says: it helps you mix and match the basic sewing pattern pieces endlessly. That way, you can potentially make your doll an entire wardrobe just using this book by Erin Hentzel. If you want to sew a stylish, everyday wardrobe for your (spoiled rotten) 18 inch doll(s), this is the book to buy. The patterns in this book are seasonal, which is “sew” much fun! 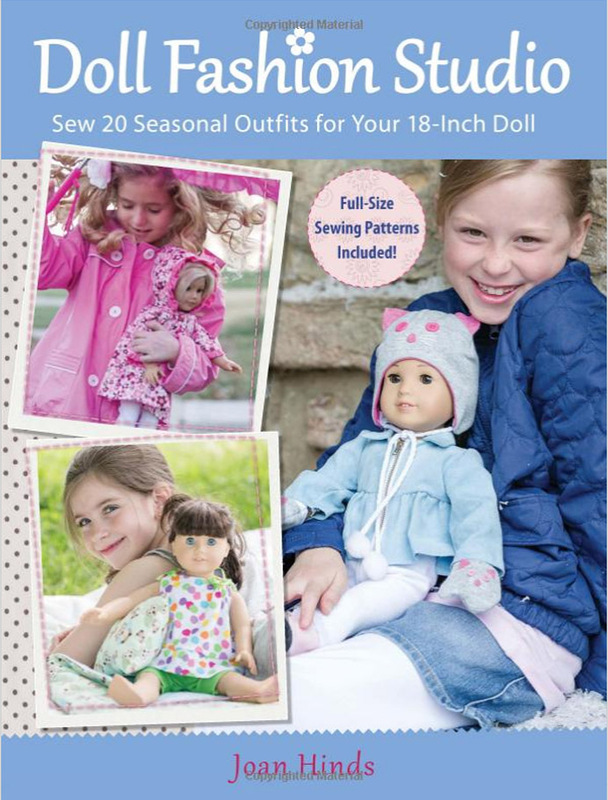 Whether you’re looking for a Spring, Summer, Fall or Winter themed outfit for your doll, you’ll find it in this book. Joan Hinds walks you through the sewing process step-by-step, with 20 patterns and 8 bonus projects. From a snow day outfit to a cheer leader costume or a rainy day raincoat, the sewing patterns in this book are easy, unique and charming. This 100th anniversary edition of a delightful classic introduces children to the world of sewing in a gentle and encouraging way while preserving a valuable collection of doll clothing patterns from the Edwardian and Titanic fashion era. 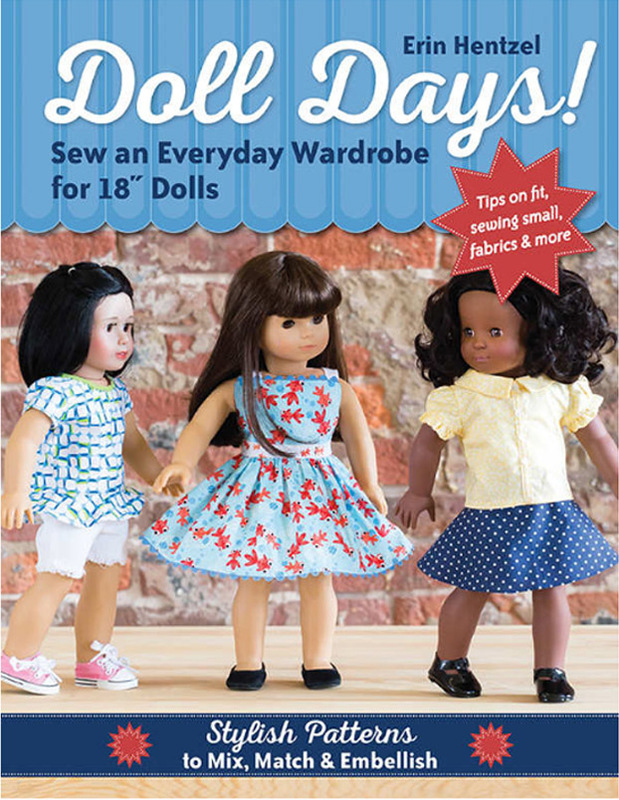 There are almost 30 doll clothes patterns in this book which have been revised and adapted to fit American Girl and other 18-inch dolls. This book features over 400 charming illustrations with patterns that include nightwear, daywear, swimwear, playwear, outerwear, fancywear and a wedding dress. 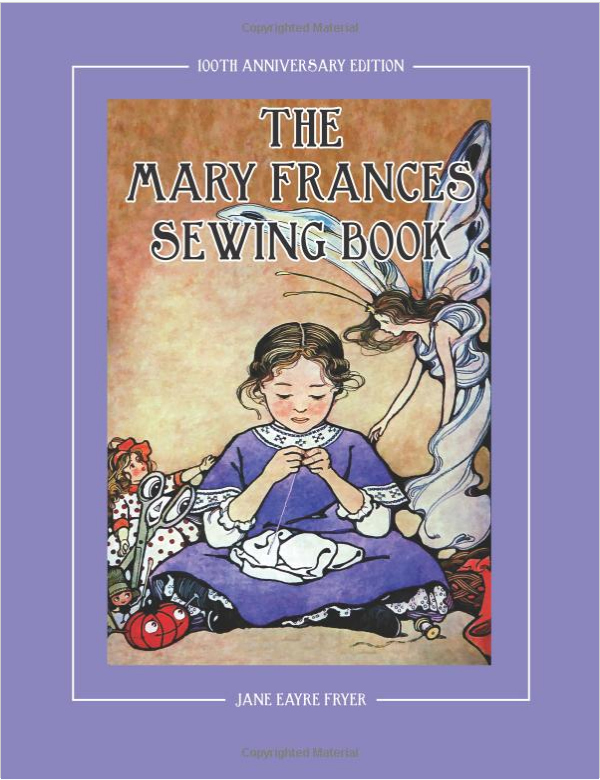 The sewing is taught through a captivating story that will charm and delight adult seamstresses as well as little ones. 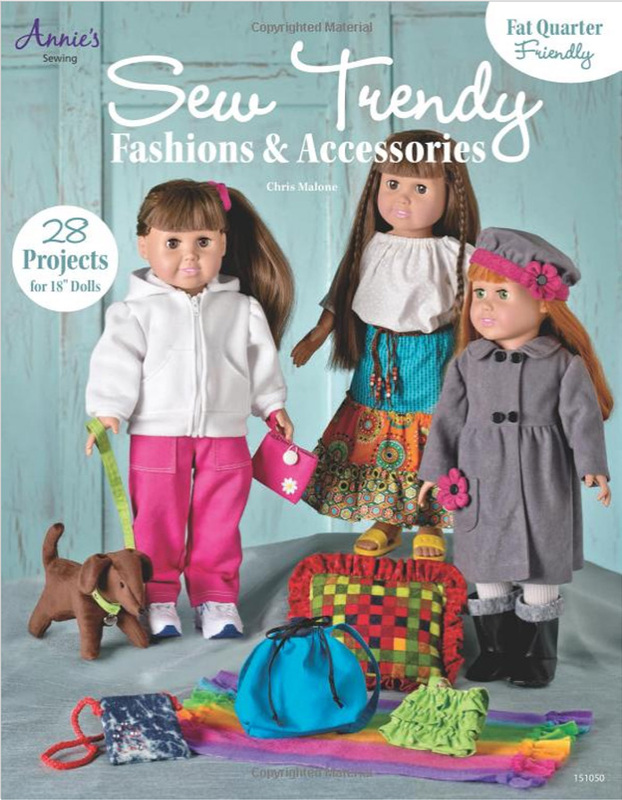 Perfect for young sewers honing their skills or for mature sewers who like to make doll clothes for kids or grandkids, this sewing guide features stylish patterns for 18″ dolls. I love the full-color step-by-step instructions with cute illustrations and big photos of the finished products. The designs are fast and easy to make, and are scrap friendly. The patterns include leggings, hoodies, jeans, and boho styles as well as accessories such as purses, wristlets, backpacks, boots, slippers, and even pets! Doll Dress Forms – Yes or No? One more REALLY really handy item you should have if you’re creating 18 inch doll clothes is a doll dress form. 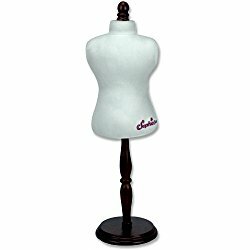 Not only will this help you make doll clothing that fits well, but it is also a great way to showcase your fabulous creations. This reasonably priced doll dress form by Sophia’s is perfect for the job, in my humble opinion. Personally I find it a lot easier to use than a doll, because the doll’s arms and legs tend to get in the way of fittings (just saying). Well that was TOTALLY fun! If there are any other doll or sewing products out there that you’d like me to research and review let me know – like most people I LOVE giving my opinion!